To decorate the house, not always need a large budget and a team of craftsmen. Feel yourself a real designer with the help of phosphor paint! 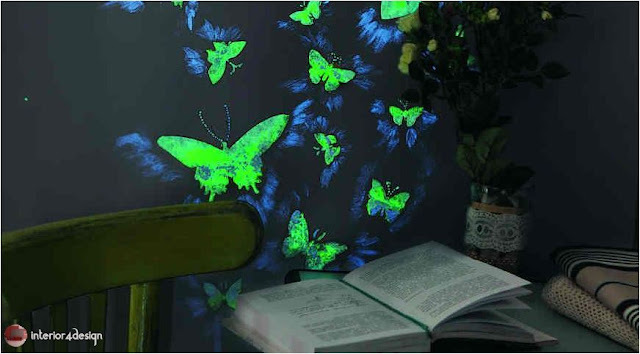 Luminous paint: The desire for beauty encourages us to equip and decorate the house, constantly finding new and original ideas. One of the discoveries today has become luminous phosphor colors - a completely new product that has won the interest and attention of not only designers but also ordinary people with aesthetic taste and sense of style. Phosphors are modern safe and non-toxic analogues of phosphorus. 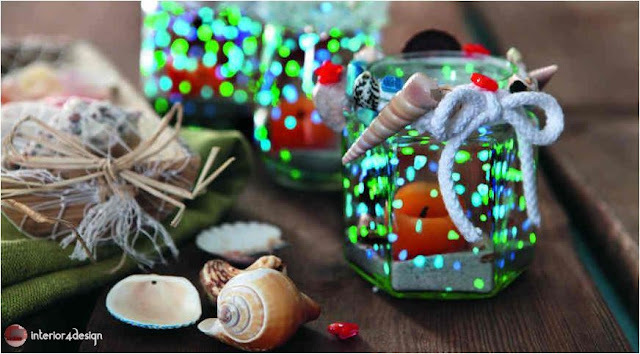 In their composition, components based on rare earth metals with the effect of phosphorescence - glow in the dark without additional sources of energy. Phosphorus is completely excluded from the ingredients of luminous paints, so the scope of their use has significantly expanded. Luminous can be wallpaper, floor tiles, marble chips for pouring tracks, plastic stones for mulching pot plants, trowel for seams, ready-made stickers and posters. With their help you can decorate even children's rooms. Acrylic on a water basis for external and internal work falls on any skimmed surfaces. Alkyd enamels for outdoor work on ceramics, concrete, brick, cement plaster, roof, gypsum cardboard, wood, glass. We suggest not to turn your house into a nightclub, but to decorate only small details and elements of the situation: an angle in the office and candlesticks. Have you noticed that most often a happy moment is compared to fluttering butterflies? This is the object most loved by designers and a symbol of family love and harmony through feng shui. During the day, these light, almost invisible creatures will not attract much attention to themselves. But in the evening it will be difficult to look away from the magic spectacle. A drawing made with phosphor paint should be placed next to a light source, for example, opposite a table lamp or chandelier. This decor idea is suitable for a light wall or ceiling. Everything should look as natural as possible, as if the butterflies themselves fluttered through the door or window and started circling around the table or under the ceiling. Using a stencil, place them in pairs or small flocks. Acrylic phosphor paint of three types of luminescence: green, yellow, blue. 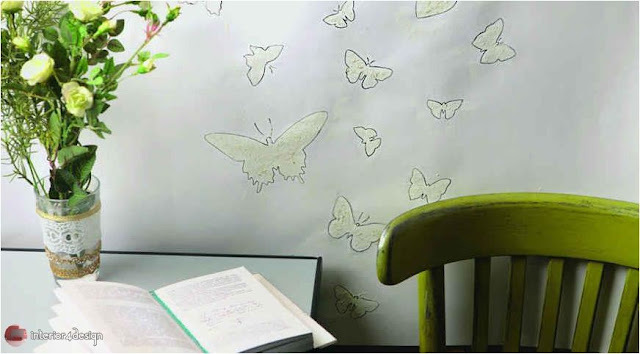 Prepare the necessary number of stencils for wall decoration: do it yourself or buy ready. 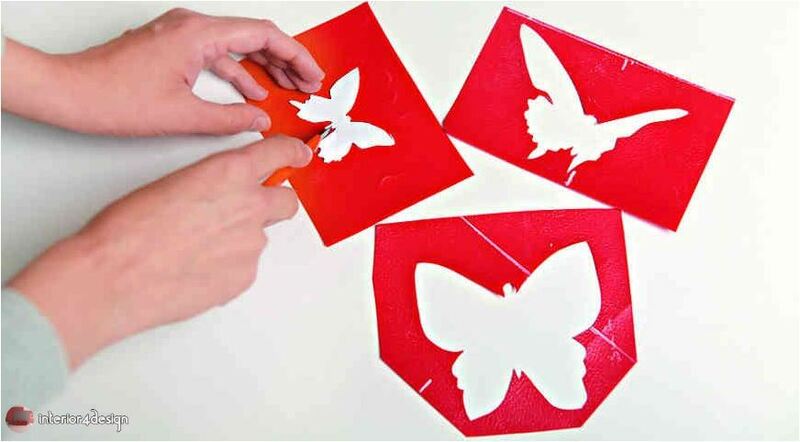 For the wrong side of each stencil, sprinkle with a glue spray and paste on the wall. Put on the palette of the same portion of phosphor paints, but do not mix them. Dip the sponge into the paint several times and apply to the stencil. Coloring butterflies is best in dim lighting - then you can see how the colors fall. After the work is finished, wait 10 minutes and carefully remove the stencils from the wall. After 2 hours, the picture on the wall will dry completely. Each butterfly circle around the contour with a simple pencil. The picture will be enlivened by large strokes of "blue" paint, drawn from the wings of butterflies to the sides. 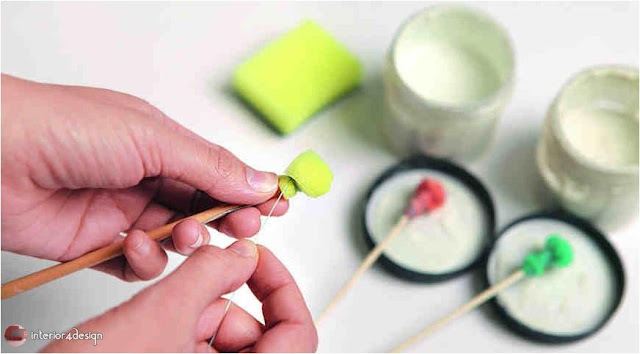 Apply such strokes best with a dry flat brush, removing the excess paint pre-paint. Wall decor is ready. Butterflies on the wall are already beautiful in themselves. And what will happen when the light goes out! 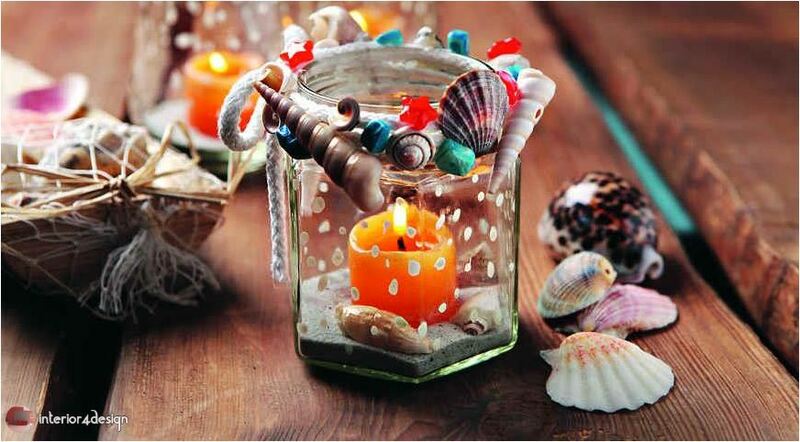 We suggest turning beautiful jars of jam into candlesticks, having decorated with a pleasant trifle: shells, beads, beads. Decorated with phosphor paint, they will be fabulously beautiful in the dark. Cotton cord wrap around the neck of the can, and tie the ends in the form of a bow. 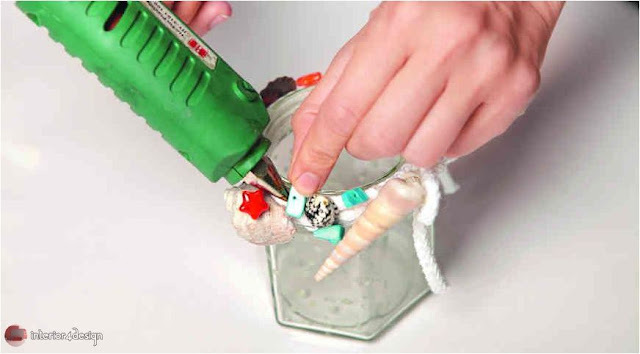 Then decorate the neck, gluing the hot glue on the cord with a variety of beads and seashells. Put on the inner surface of the jar the points of the phosphor paint of different colors. The former can not be recognized! Now this is a unique candlestick. Pour a little sand inside and light a candle.